I recently ran across one of my favorite childhood books, a collection of poems called "Edward Lear's Nonsense Book" (left). Now dog-eared and falling apart, when I was a child its odd characters like the Jumblies, the Owl and the Pussycat and the Old Man with a Beard felt like falling with Alice down the rabbit hole. To a kid raised on Barbie dolls and Saturday morning cartoons, it was a curious and unfamiliar universe, one that was at once both delightful and disturbing. Needless to say, I loved it. 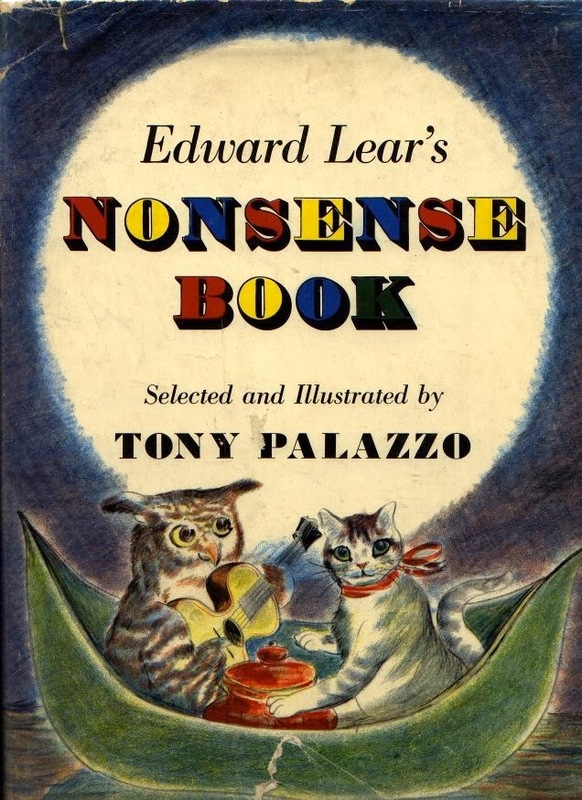 Lear's mention of quince, along with runcible spoons and Pobbles (one of whom had no toes), was at least partially responsible for a lifetime of Anglophilia, which I still suffer from. 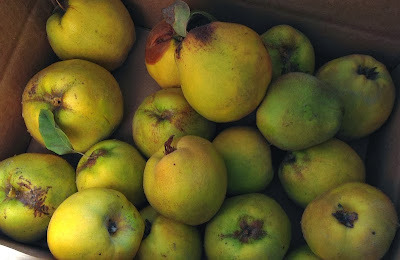 So when my neighbor Karl offered me a box of quince from his tree, I gladly accepted, though I had no idea what to do with them—Lear obviously ignored the fact that they're rock hard and terrifically tannic, obviously not meant for eating out of hand. Now where's that runcible spoon? Karl had given me a recipe for his quince liqueur, which takes a month to ferment and which I'll post about later, but it left more than half the box still unused. 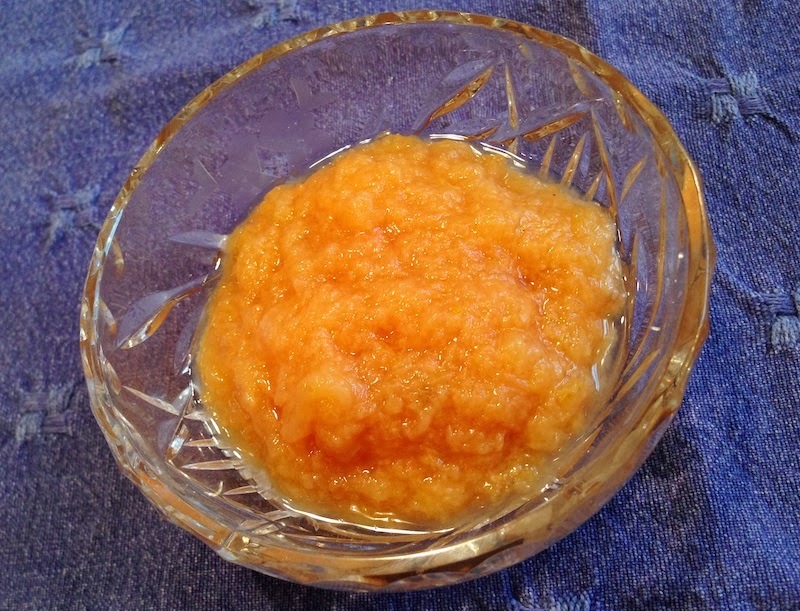 A suggestion from Katherine Deumling gave me a quick and easy solution, though, and that was to make a quince sauce from them. Like applesauce, it requires little else other than sugar and lemon and heat to make, so in just a couple of hours I'd spared myself the guilt and embarrassment of wasting a lovely pile of fruit. Now to figure out what a runcible spoon is so I can eat it. Coarsely chop the quince into large pieces, removing core and any bruises or brown spots. Place in large pot over medium heat and pour in a cup of water and lemon juice. Stir to combine. 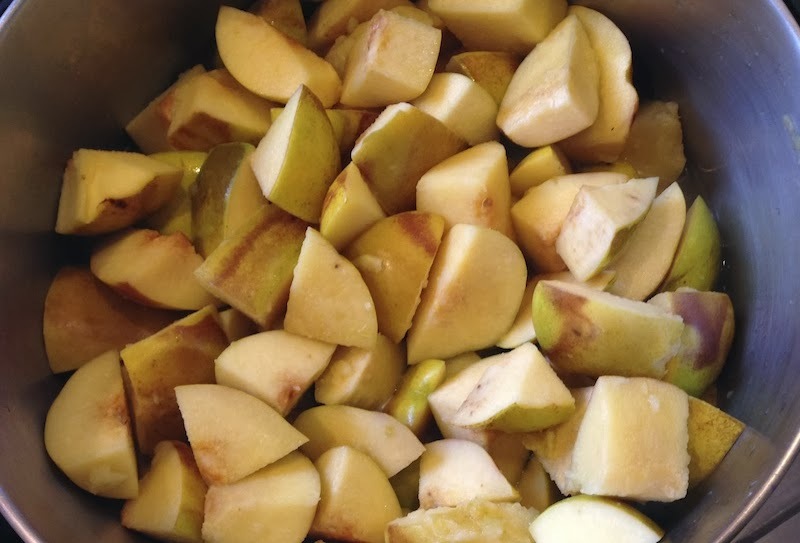 When water in bottom of pot begins to boil, reduce heat to low simmer and, stirring occasionally to prevent sticking, cook until quince pieces are tender. Add sugar to taste (I like mine slightly tart, but it still takes a fair amount of sugar to get it to that stage). Allow to cool. 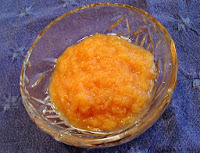 If you want, you can mash it by hand or run it through a food mill to remove skins and make a smooth sauce. At this point it will keep in the refrigerator for a week or so, or it can be frozen and saved for later use.